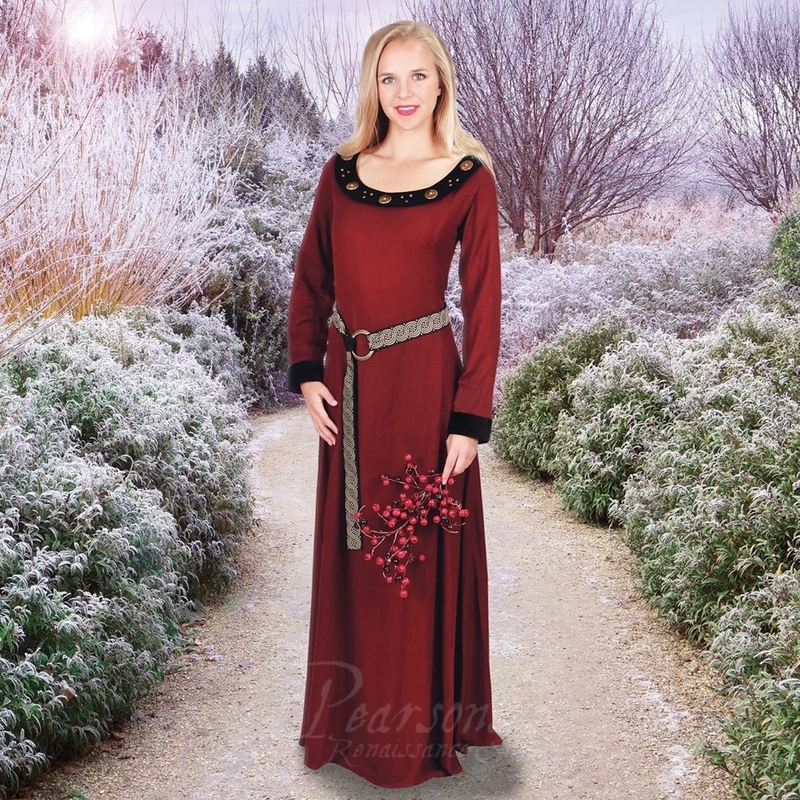 This lovely Normandy gown harkens back to the days of early England. 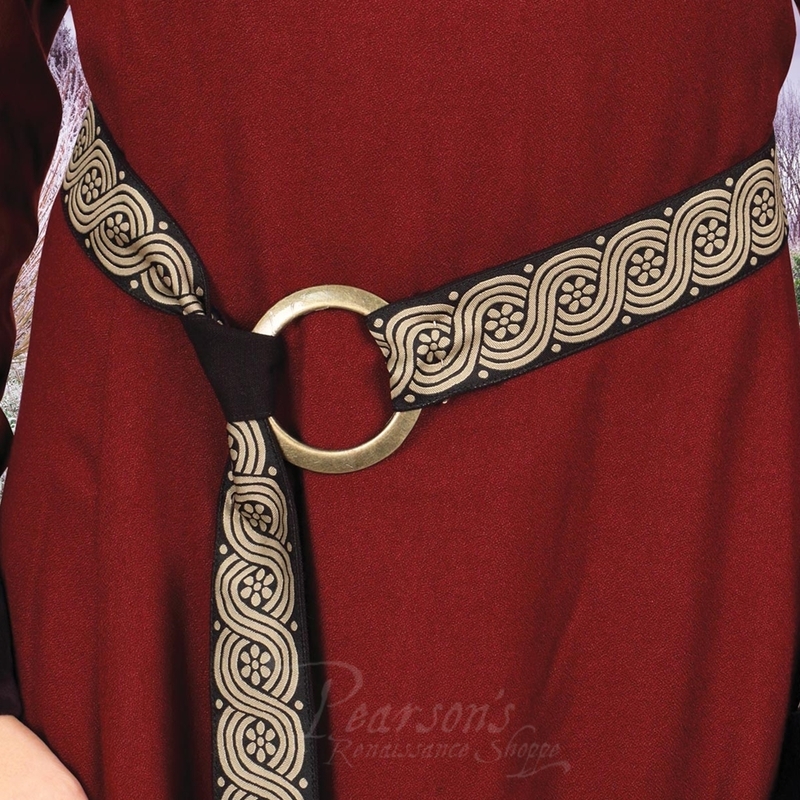 Designed using a soft, garnet red rayon and it is fully lined with a matching red cotton and patterned with princess seams allowing for a perfect fit. The dress has rich black cotton velvet at the cuffs and collar, the later of which is adorned with antique gold buttons and studs. Lace-up back with satin-stitched ribbon and modesty panel. 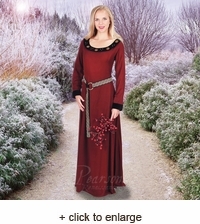 Comes with an embroidered belt with antique gold ring closure.